Like the submarine, it’s dark, too long and rusty in all the wrong places. I didn’t want the cast to walk the plank. Just the writer. Jude Law was fantastic. I’ve always rated him as an actor. He plays the gruffly Scot Captain Robinson well. His accent was very good and he delivers enough charisma to hold his own against a talented cast of misfits. So what’s it about? 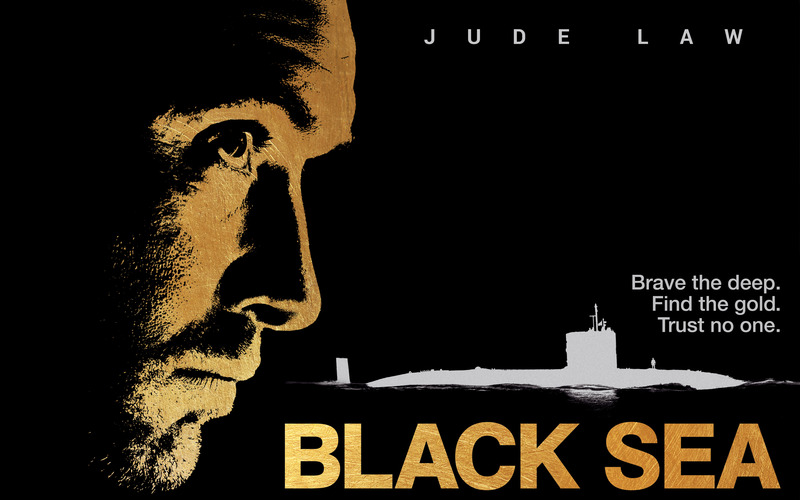 In order to make good with his former employers, a submarine captain (Law) takes a job with a shadowy backer to search the depths of the Black Sea for a submarine rumoured to be loaded with gold. The running length was far too long. It’s gritty, at times claustrophobic and suspenseful but to be honest if it wasn’t for Law and Mendelsohn, I fear this film would have sunk faster than its naval counterpart. The opening was painfully slow. Law did his best to keep things watchable and we feel for his character after being made redundant. However, a plan is already in motion. A dangerous heist that could pay out big. 82 million to each participant. Yes, that’s right. Nazi gold just sitting in a shipwreck. A shipwreck that happens to lie in the darkest, deepest regions of the ocean. Easy. The set up was terrible. Forcing relationships between ship mates to make them more relatable. The cliched exchanges between Konstantin Khabenskiy (Night Watch), Daniel Ryan (Mount Pleasant) and Law were so boring and unnecessary. It felt hammy and drawn out. Writer Dennis Kelly tried to pump some life into the characters but it just didn’t work. If Daniel Ryan’s character wasn’t so pessimistic and had that “I don’t think I can do this” expression smacked all over his face, I might have been surprised that he would turn out not to be in the rest of the film. Tobias Menzies (Game of Thrones) had the easiest job going as the “shadowy businessman”. I mean, come on. Look at him. He’s look like a shady politician. Throw in a scowl and he’s done. Five minutes of empty threats and predictable guff about failing to deliver and that’s goodbye from him. Instead, we get a wimpering Scoot McNairy (Monsters). Don’t get me wrong, he plays it well. He was just irritating. Forced by Mr Shady (no, not Eminem) to protect his investment and join the crew. Jodie Whittaker (Broadchurch) was reduced to nothing more than featuring in some dreary dream sequences or being stalked by Law. Nothing was really made of their relationship at all. A missed opportunity that her character just as redundant as her husband. Once they got into the sub, things got a little more interesting. Just. Director Kevin Macdonald (The Last King of Scotland) captured the claustrophobic setting of the submarine perfectly. 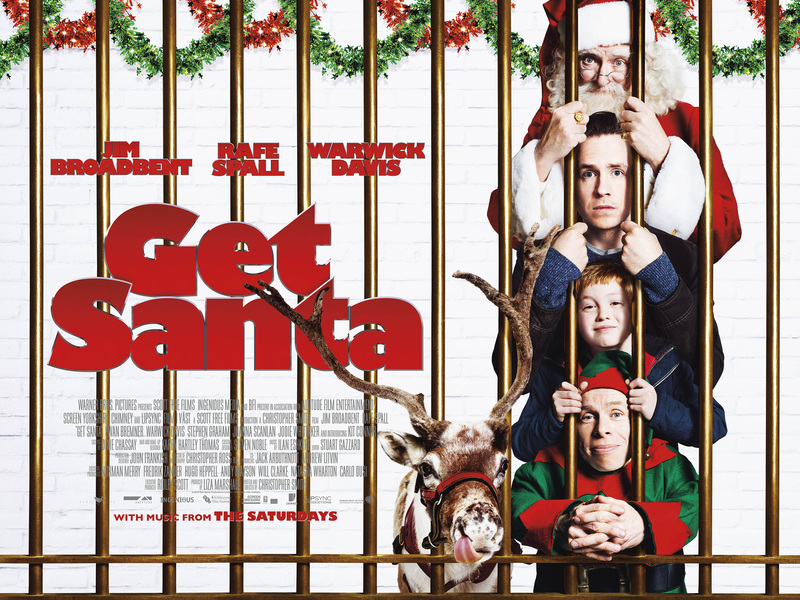 Robinson’s runts featured the likes of David Threlfall (Shameless), Michael Smiley (He will always be Tyres from Spaced) and the legendary Ben Mendelsohn (Starred Up). The inevitable friction already brewing between the crew before they even descended. Mendelsohn was superb as the volatile Fraser. The perfect catalyst to get things going. A ticking time bomb. The predictable bust up looming in the cards still managed to surprise me. I expected a little punch up BUT what happened instead was the much needed oomph I was craving for. And for another 20 minutes or so, I got into the film. Unfortunately the film has only really has a few moments of brilliance. The sequence in which they are evading other submarines and transporting the gold was suspenseful enough. It was tense, and watchable. Wondering whom the ocean would take next into the dark abyss. BUT what didn’t help was that the murky darkness was surprisingly too dark to see anything. If not for Law’s commentary, I wouldn’t have had a clue what they were doing. Grigoriy Dobrygin (A Most Wanted Man) was highly unmemorable. I kept hoping he would do something. Bar the final three minutes, I would have said he was completely useless. Silently stewing in the background while fondling his beard. Bobby Schofield didn’t do too a bad job as he took his first proper feature role as the young outcast Tobin. His introduction helped provide a little more depth to the crew and eased up this incredibly droll and all too serious affair. The crew banter was quite good. A naive Tobin standing with a squeegee and bucket asking, “Where are the windows?”. However, the whole father/son vibe between him and Robinson’s Law was a little cheesy. BUT you just about routed for them. The pace and story just didn’t justify the 114 minute running time. Not enough going on. It didn’t help that the explosive finale got things going again and then just ended. Abruptly and predictably. It wasn’t all bad but it wasn’t that great either.